Electronic Arts has announced its game lineup for E3. While some of the usual expectations are there, some exciting titles are on the list, too. The closer E3 gets, the more we speculate about what exactly is going to be on display. EA has taken the mystery out of the equation by releasing a list of the games it's planning to show off for the press. While no one is exactly surprised to hear about the various sports games, Sims titles, or the latest Harry Potter entry, there are some things that we're looking forward to. 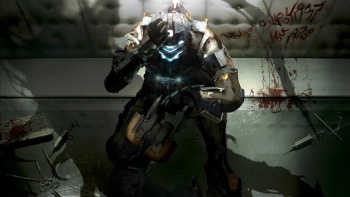 Dead Space 2 is something that we're obviously excited about, since everyone has been wondering what happened to Isaac Clarke after the cliffhanger ending of the first game. FPS fans, meanwhile, are apparently in for some major treats with both Bulletstorm and Crysis 2. Some of the publisher's DLC games are what have me really excited. Both Spare Parts and RISK: Factions look like they're going to be fantastic. Spare Parts is about a a duo of robots seeking to escape a junk planet they've been dumped on. RISK: Factions, meanwhile, is promising to provide some welcome twists to the popular board game game. The trailers for the game are hysterical, though, and feature an adorable art style. Overall, this sounds like a pretty solid line-up. EA is going to be holding a press conference on Monday, June 14, with more details.